Don’t Turn Your Back on Credit Card Collection Agencies – The Humphries Law Firm P.C. On an average day in North Carolina Civil District Court, approximately half the docket will be debt collection actions filed by collection agencies to recover alleged credit card debts. Specifically, the civil court dockets in New Hanover, Pender, and Brunswick Counties are typical of this trend. Litigation of this type is rarely pursued by banks or other lending institutions that regularly issue consumer credit. The reason for this is that banks typically “write-off” bad debt and accept that they will not get paid. 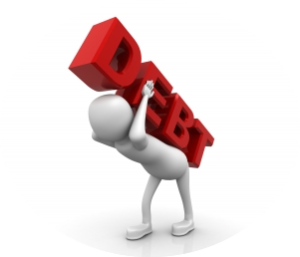 Most of the written-off bad debt is purchased for pennies on the dollar by collection agencies. The collection agencies profit by collecting funds from alleged debtors (i.e., a debtor is a person that owes money to another) in excess of the low purchase price. When written and telephonic collection efforts fail, the collection agencies will next file legal actions through law firms that specialize in debt collection. In many instances the legal merits of the litigation is unfounded due to the statue of limitations or other procedural defects. The collection agencies expect the debtors to ignore the civil lawsuits upon receipt, which allows the agencies to secure default judgment. Judgments accrue interest in the state of NorID-10034353th Carolina at 8% per year and are valid for 10 years. The default judgment becomes a lien on all real property owned by the debtor in each county where the judgment is recorded. In essence, default judgments are like a lottery ticket that the collection agencies purchase hoping that some of the alleged debtors eventually buy and sell real property. When the property is sold, the collection agencies typically get paid out of the closing. 3. That the debt was not previously paid. Collection agencies will frequently have a difficult time meeting this burden of proof and, therefore, can often be defeated in their efforts to collect a debt when a defense is put forth by a competent attorney. Further, most of these companies are based in foreign states and their witnesses have no intention of attending court in Wilmington, North Carolina (or elsewhere in Southeastern North Carolina) to meet their aforementioned burden of proof. For these reasons, debt negotiation and/or defense of a credit card debt collection action should always be considered before consideration of bankruptcy if the credit card debt is to be a determining factor in whether or not the bankruptcy is filed. In summary, if you get sued by a credit card company or collection agency you should be vigilant and seek advice from an experienced civil litigation attorney.